The Flint/ETZNAB trecena is guiding us through a fearless discovery of the hidden parts of ourselves. Like a pruning, the process can be painful, though in the end we’ll be stronger and bear a more abundant harvest. I have found myself questioning, “Who AM I?” My shadow is being drawn out so I can see with crystal clarity the parts of me that are not in correspondence with my Higher Self. I am in deep consideration of everything I would desire to let go. Flint has brought painful self awareness. My shadow feels the full weight of its attachment, like an old flannel shirt it hates to give away. The chaos of the world is reflected back to me as my own powerlessness and disappointment in myself. Then, I Re-Member this is a “working” trecena. We are applying what we learned about our own Inner Power. We came out of a 10-day Portal to the Spirit World from the Serpent/CHICCHAN trecena. Our Spiritual Experience may now seem like a long-ago dream. The job at hand is to Re-Member our Spiritual Power is still there. Our “work” is to now operate on Belief in the Power of our own Spirit. 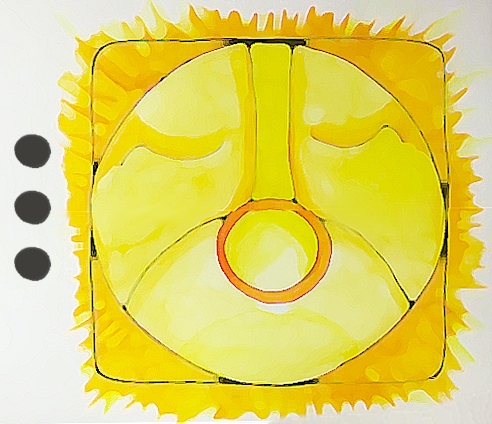 3 Sun/AHAU brings the Enlightenment, Faith, and Determination to take our first steps forward. 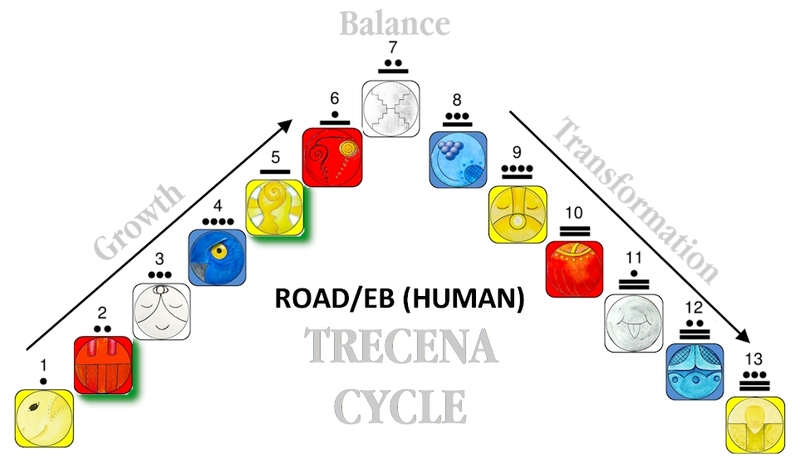 Tone 3 is the first day of Movement in this trecena. We can Heal our shadow using the Greatest Power we hold… our Love. Everything wants to be seen and acknowledged. Even the darkest parts of ourselves taught us something. Sun/AHAU brings the Enlightenment to acknowledge them as the Blessing that they were. Sun/AHAU is the Day of the Ancestors. We are connected to their Wisdom, which is the sum of their Enlightenment. Their guidance would be words of Encouragement that Sun/AHAU would bring all the Energy we need to make our uphill climb. In Truth, we are given a steep, but short journey to the balancing place of Tone 7. The Ancestors are with us as we make our way to the top of the pyramid where we receive the Full Support of Divine Agency. The Sun brings Life, Light and Happiness. 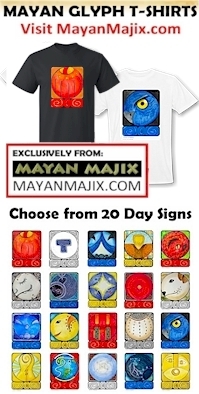 The Cherokee Day Sign of the Flower/GUN’TSI relates to the face of the flower that follows the Sun, gathering the fire of creativity, illuminating harmony and balance, and resonating peace and continuity within the Human Spirit. AHAU brings the Energy for our Highest Achievement. Sun/AHAU gives us the Energy and Influence to set a new Intention into motion. Sun/AHAU is said to be a Day Sign that brings a Gift of Realization..
To all my relations, may we Acknowledge that the Ancestors are with us and Open our Minds to receive their Divine Wisdom. They walked this way before and know our Earthly trials. May we Greet the Sun and Acknowledge the Warmth and Light on our faces and Acknowledge its Blessing as it travels with us through the day. May we Re-Member and employ our Spiritual Power and the Greater Good made possible by what is swept away. May we be kind to ourselves and others as we journey through a trecena of Healing and Recovery. I love each and everyone of the accompanied paintings .. is that right, are they paintings? Or what medium do you use, Debra? 🙂 lovely, says my shadow. flint has been alittle brutal-but I am still standing!